Summertime is an excellent time to make improvements in your appearance. Relaxing at home, socializing, and recreation will all be more enjoyable when you have an attractive, white smile. Beautiful white teeth can be yours when you visit Dr. Dana Walters for teeth whitening. There are a number of ways to whiten teeth, but the best results start at your dentist’s office. Dental trays will be prepared specially for you. The trays are custom-designed to fit your teeth. 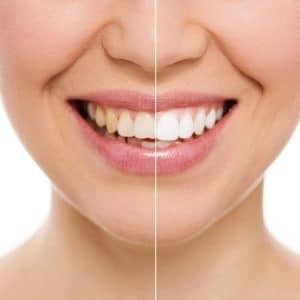 In addition to the trays, you will have peroxide solutions for teeth whitening. You will be instructed on how to use these products at home. All you need to do is apply the peroxide to your teeth and place the tray in your mouth. Your dentist will tell you how long to wear it. Depending on how discolored or stained your teeth are, you may need to repeat this process a number of times to achieve the results you want. After your teeth have been whitened, it is important to avoid foods and beverages that can cause your teeth to become stained again. A healthy diet can go a long way in helping your teeth stay white. You may wonder why dental trays from your dentist are the best approach. Products you can buy to whiten your teeth can be too harsh, or ineffective. Most important, they are not designed specifically for you. It is well worth your time to visit your dentist for a personalized whitening kit. You can use it in the privacy of your own home and use it as often as necessary. It is the safest, most effective way to achieve dazzling white teeth. An attractive, healthy smile starts at your dentist’s office. You will love the results.